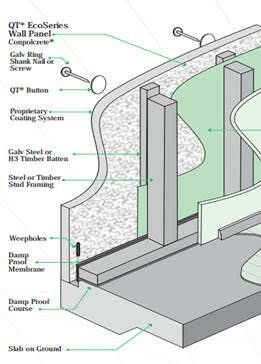 The QT®EcoSeries Wall Panel is a masonry veneer wall cladding system with a cavity. The QT®EcoSeries Wall Panel offers a solid substrate which can accommodate a wide range of finishes, has high thermal insulation and sound abatement, fire resistance and ease of construction. QT®EcoSeries Wall Panels are manufactured from a material called ‘Conpolcrete®’ which consists of a blend of cement and recycled polystyrene. At Polycon Systems, we provide high quality QT Eco Series wall panels that are highly energy efficient and also support different types of wall finishes. Therefore, you no longer have to compromise on the aesthetics of your place to get your home weather-proofed. 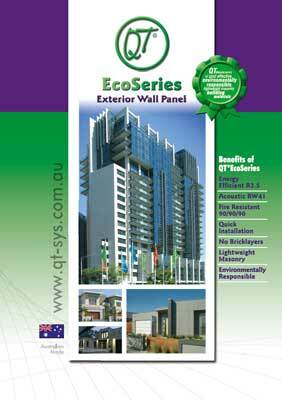 The QT Eco Series wall panel is a wall cladding system with a cavity. These wall panels are fire resistant, provide sound abatement and enhance the pace of construction, as they are light in weight. They also provide superior thermal insulation. Our product portfolio includes Eco Block, QT Eco series wall panels, Ventis Home Ventilation System and polystyrene cladding needs. By choosing us, you will also choose a greener environment. If you still have any queries regarding our products, please feel free to contact us on (03) 9877 9608. 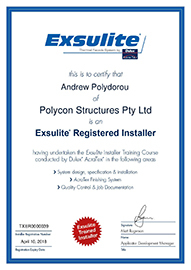 You can also post your queries online or write to us at enquiries@polycon.com.au. We would be happy to help you.